(CNN) — When the government closes, an average of about $275 million dollars in compensation to federal employees is delayed per day, according to an analysis of agency staffing and pay data by CNN. All told, more than $9 billion in compensation went unpaid to federal employees during the 35-day shutdown over a demand by President Donald Trump for funding to build a wall between Mexico and the United States. 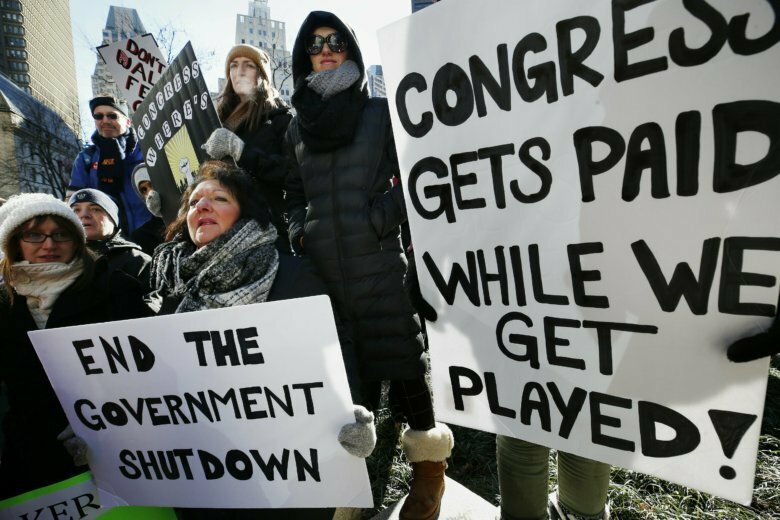 The government is in the process of paying the money to federal workers who were either furloughed or working without pay. If the government shuts down again, the process will start all over again. Every week, about $2 billion in compensation will go unpaid. Each day the clock ticks, another $275 million. The effects ripple government-wide, with more than 60 agencies directly impacted by the December to January partial shutdown. While not included in our estimate, a shutdown also impacts tens of thousands of government contractors, with staffs of their own, who experienced hundreds of millions of dollars in delayed payments. The agencies impacted by a shutdown show how far the fight over building a wall can go. See the complete agency-by-agency estimate at the footer of this article. According to the analysis, more than $8 million went unpaid to employees of the Consumer Product Safety Commission, which issues recalls on defective products and issues toy safety guidelines, during the shutdown. More than 500 employees missed an average of about $16,000 in compensation each or about $450 per day. At the Department of Homeland Security, more than $2 billion in compensation was delayed, or approximately $80 million per day. Approximately 180,000 agency employees were working without pay. Another 29,000 were furloughed. TSA employees called in sick at approximately three-times the rate of the year prior. Some employees took other jobs to make up missing pay. The list goes on: the Small Business Administration, the Department of State, the Equal Employment Opportunity Commission and the Securities and Exchange Commission. All had to shut down or nearly shut down their operations or some personnel worked without pay. In many cases, according to agency shutdown planning documents, only those at the top of an agency maintained their pay status, while those at the bottom either worked without pay or were furloughed. CNN’s estimates for delayed compensation were made using a methodology that draws on public documents on the White House website, federal pay data and the methodology used by the Congressional Budget Office to estimate the cost of the shutdown on its employees. Another government shutdown could occur Friday, February 15, when another temporary funding bill runs out. CNN’s estimate was derived by combing through the most recent public agency contingency plans available and requesting details from agencies to supplement for missing or outdated plans. Agency pay data was obtained through FedScope, a federal pay database. Data not available was supplemented by technology company Enigma, a data provider to banks and other firms that claims to have the broadest collection of public data in the world.